Made for children 3 years old and up. Sound limited to 85 db. max. 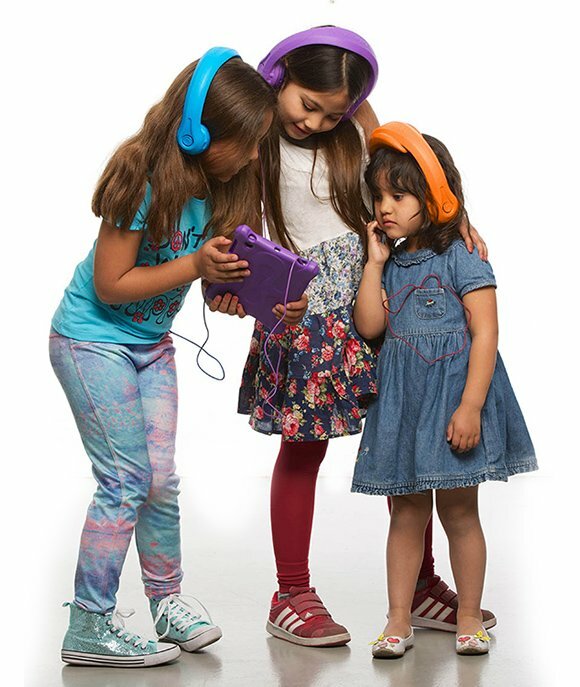 MarBlue’s HeadFoams are fun, trendy, unique, and child-safe foam headphones for play, school-work, and entertainment. The patent pending HeadFoams are the world’s first mono-body foam headphone. The 85 decibel limiter feature limits the sound level to what experts and doctors consider safe. Many studies that show a rise in childhood hearing loss since the advent of MP3 players, tablets, and the music and games played on them. As parents we need to protect those developing ears from harm. 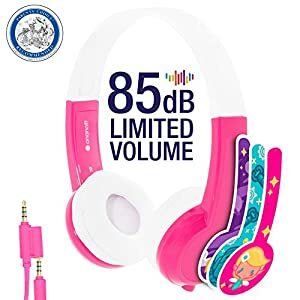 In their enthusiasm, kids will accidentally twist, pull, drop, and fight over headphones. The consequence? Broken headphones that need to be replaced. This gets expensive, and may be dangerous! HeadFoams were designed to take a beating and keep on beating. 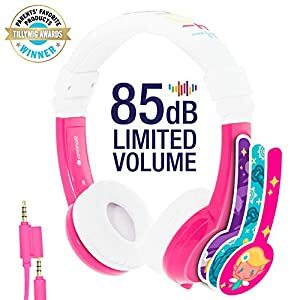 HeadFoams also make the perfect unique gift you can be sure any child will be overjoyed and proud to receive. The HeadFoams are really lightweight, too. The foam material is like the material the original Crocs® were made of — making them lightweight and squishy. They are made of non-toxic, BPA free EVA foam. They come in many fun colors that all kids will love. MarBlue designs high quality, high value solutions that enhance your mobile lifestyle. Celebrating 20 years of innovation, MarBlue is committed to creating customers for life with products that perfectly balance style and functionality. All MarBlue products are designed in house in South Florida with an “it’s all good!” state of mind. MarBlue continues to lead the industry in socially responsible initiatives: supporting local and international charities, and the Montessori Academy for Children.